Airwheel Electric Unicycle Comes as a Safe and Handy Transport. Abstract: Airwheel electric self-balancing scooter owns potent performance. It is able to carry the weight of an adult and whoosh about regardless of terrains. Airwheel electric self-balancing scooter is the ultimate model in the transports, which frees you from the traffic jam. So far, the traffic congestion is our biggest bugbear when we get around. Is there a contraption getting us out of concern about congested traffic? Most of transports cannot make it in the least. However, exception always exists. It is Airwheel electric self-balancing scooter. Airwheel offers a full range of high-quality electric scooters to meet multiple demands of people. Airwheel electric two-wheeled scooter Q5 is small yet roadworthy. Compared with other transports, it weighs merely 11.5 kg so that one can pick it up easily. 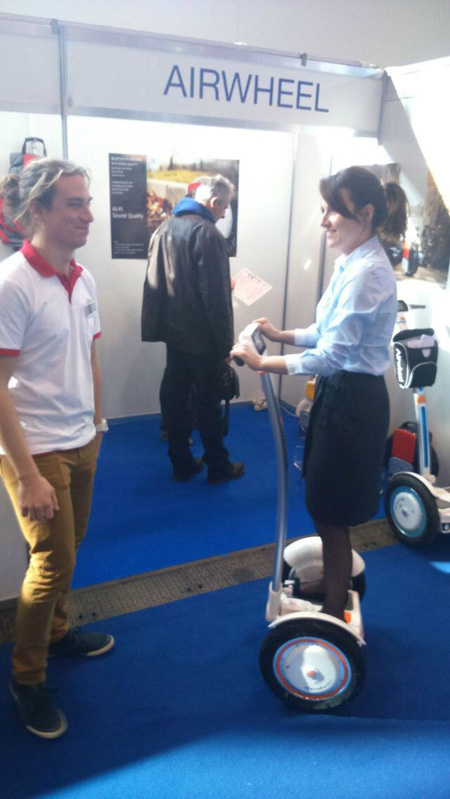 Small-sized as it is, Airwheel Q5 have a large carrying-capacity of up to 120 kg. Therefore, there is no need worrying about the weight of the rider. It holds a top speed of 18 km/h. In addition to its velocity, the quick recharging is also a striking feature. Airwheel electric scooters are intelligently hands-off manipulated-traveling forth by leaning forth. Subsequent to the introduction into Airwheel intelligent electric twin-wheel Q5, Airwheel intelligent self-balancing scooter S3 is to be recommended. For purpose of safety, Airwheel S3 is fitted with the kind of threaded tyres, which has a strong grip. As such, it is spread wide used on many terrains without any concerns about slide. The last one that will be introduced is Airwheel electric unicycle X8. X8 has the high-performance stability. While riding it, you can zoom about smoothly without bumping. This model adopts the intelligent tech. Through the likes of speed limit system, the rider is sound protected.